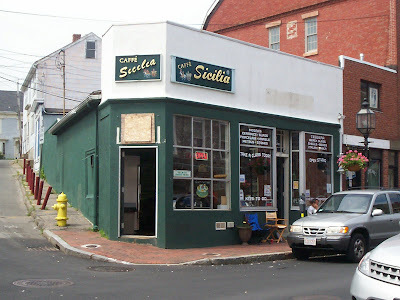 After a delicious lunch at Virgilio's Italian Bakery & Deli, Mom and I decided to hit up another Roadfood favorite located just across the busy Gloucester street - Caffe Sicilia. Armed with several pastry recommendations from Michael Stern, Mom and I entered the tiny corner bakery at approximately 2:45 p.m.
We were immediately greeted by the owner, Paul Ciaramitaro, who we later learned was a former New Bedford fisherman. 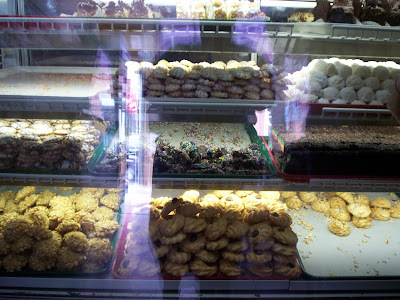 He is a larger than life character who was more than happy to help Mom and I choose some of his delicious pastries. 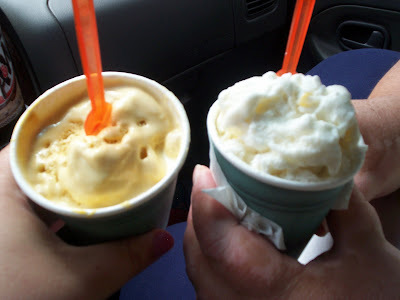 Since we had heard good things about the gelato, we decided to get two small cups. Unfortunately, none of the gelati were labeled, so we had to bother Mr. Ciaramitaro to find out what the flavors were. He gladly obliged. 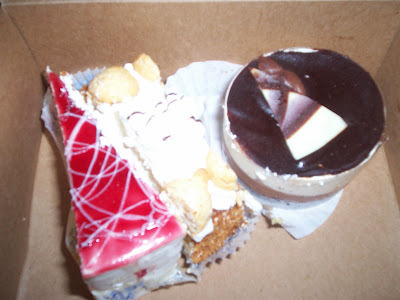 After hearing yummy options like hazelnut and cantaloupe, we settled on tiramisu for me, and Italian cake for Mom. As Mr. Ciaramitaro scooped our gelati into cups, Mom got a closer look at the pastry. Unfortunately, she didn't really see any of the recommended pastries that we read about online. Also, nothing in the case was labeled, either. Still, Mr. Ciaramitaro was more than happy to point out a few good ones to Mom, who almost bought everything she saw. She chose an apple tart, a limoncello/raspberry cake, an amaretto cake, a chocolate mousse tart, and a huge lobster tail which happens to be one of the "must-haves" at Caffe Sicilia. The total came to $28. 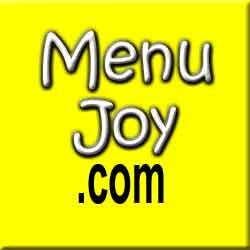 A little expensive, but Mr. Ciaramitaro informed Mom that everything she had ordered was $4 each, including the gelati. As we left the cafe, we placed the pastries in our freezer bag and got to work on our fragrant gelati before it melted in the summer air. Wow, what a difference experience makes! The last gelato we tried was very flavorless. As a matter of fact, Mom thought that she just got the base (see: Gelato House). However, this gelato not only tasted great - it smelled great! What a mouthwatering fragrance! The texture was thick, and the gelato was cold and creamy - just like you'd expect gelato to be. The flavors were outstanding. Mom's Italian cake tasted sort of like a ricotta pie with little pieces of candied ginger throughout. My tiramisu had a heavy brown sugar taste that seemed to be flavored with some sort of liquor. Both cups were excellent, and they have renewed our faith in gelato makers! When we got home, we weren't in the mood for pastry right away. Cut to about an hour later when we decided to bust out the lobster tail and cut it in half. Since the apple tart was in the same bag, we decided to split that one, too. Why not? The apple tart had a very crisp, sugary but flaky crust, and the apples inside were fresh and juicy. As for the lobster tail, it was very large - so large that Mom cut her half in half, while I just stuffed my face with the end of the tail. The cream had been whipped so that it was light and airy. We couldn't tell if it was made with real cream or just cream mixed with powered sugar, but we did notice that it didn't have the moistness of the real stuff. Whatever it was, it was delicious. We especially liked the crust, which was made of many layers of crisp, light pastry. 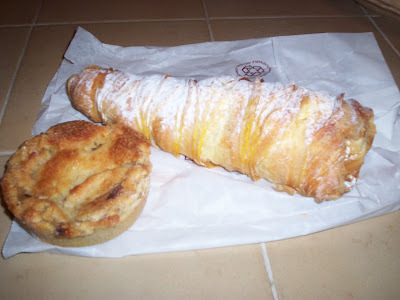 There was a little snap when you bit into it, which really gave it a different texture than most pastry crusts. Michael Stern was right - it really was excellent. By the time we finished the lobster claw and apple tart, Mom and I couldn't move. We saved our other pastries for breakfast the next morning. Aren't we the picture of health? Anyway, after cutting everything in half, we dug in. The raspberry/limoncello slice was cool, creamy, and a little tart. The amaretto slice was topped with little amaretto cookies and tasted like tiramisu. The chocolate mousse tart was dense and very fudgy. All three pastries were quite delicious. Everything at Caffe Sicilia was excellent, and the taste reminded us of two of our all-time favorite bakeries - White's of Brockton, and Wright's of North Smithfield, RI. It is good to know that we don't have to drive all the way to Gloucester to get outstanding baked goods, and it's also good to know that if we're ever in the area again, we can find happiness in the pastry from Caffe Sicilia. 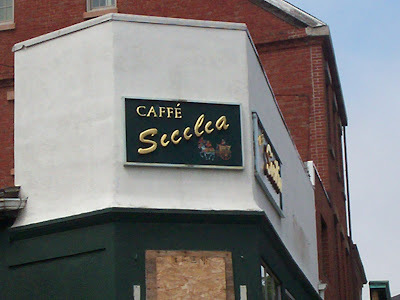 Caffe Sicilia is open from 7 a.m. to 5 p.m. Monday through Saturday, and 7 a.m. to 1 p.m. on Sunday and holidays.